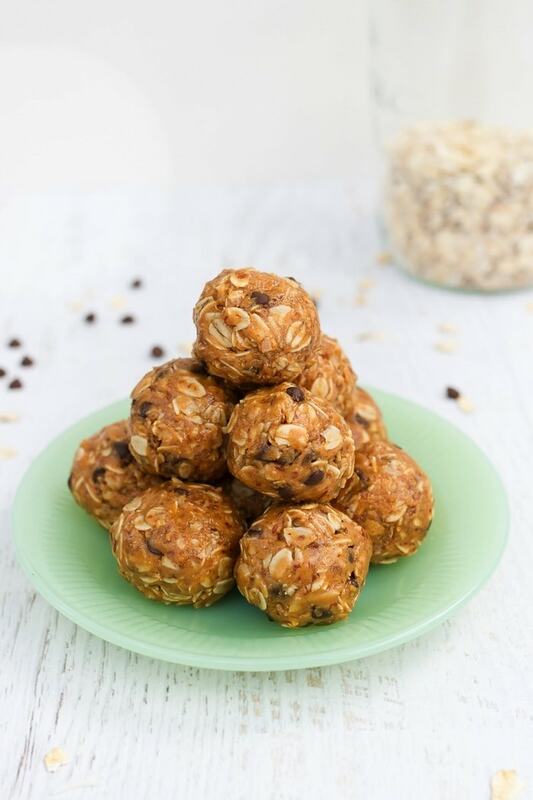 A granola bar in ball form, these peanut butter no bake energy balls require only one bowl, eight ingredients and about 10 minutes of hands-on prep time. You’ll love having them as a portable snack option! Isaac’s last day of school was Friday. The last day of school before summer is always a big deal, but this year is even more monumental because Isaac is moving on to a new career and won’t be going to back to teaching next year. After eight years teaching at the same school, he’ll be moving on to a career in the craft beer industry. Beer is definitely a passion of his and he loves the group of people he’ll be working with so he’s super stoked. I’m really excited for him as well. Friday night we celebrated the start of his journey with a couple cocktails. Saturday we went floating on the river with friends and yesterday I visited with family and caught up on a little work. Pretty low-key weekend, but perfect because we’ll be out of town next weekend celebrating our three-year anniversary. Speaking of summer travel, I have the perfect road-trip snack recipe to share today. 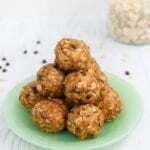 It’s another ball recipe, because apparently we all love balls and can’t get enough of them. Seriously, people have gone crazy for my superfood energy balls so I know these peanut butter energy balls will be a hit too. The idea for these particular balls came to me as I thinking about the fact that most of my energy ball recipes require a food processor. 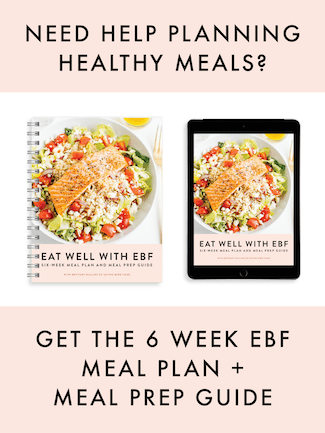 I love my food processor and use it all the time (way beyond making balls), but I know that everyone doesn’t have one so I thought I’d share a simple energy ball recipe with no food processor required. No food processor, no problem! Want to know what I love about this recipe? It requires only one bowl, eight ingredients and about 10 minutes of hands-on prep time. You really have no excuse NOT to try it! The flavor of the balls is awesome, especially if you’re a peanut butter lover like me. 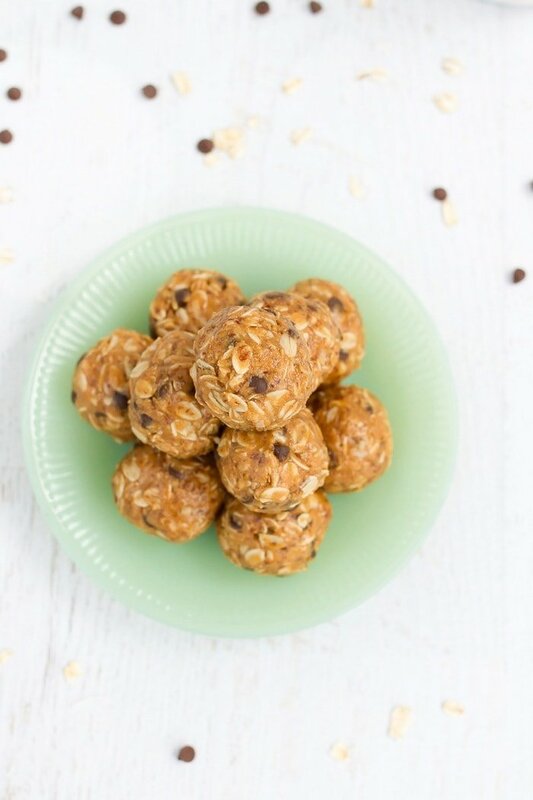 The texture is great too — it’s like a homemade granola bar in ball form. 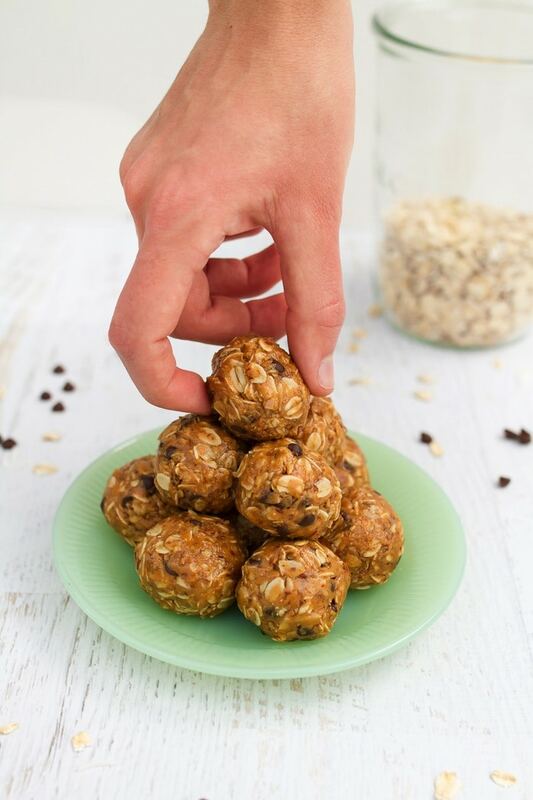 The balls hold together well so you can easily toss a few in your bag as a travel snack during summer road trips. They’re perfect for in the car, on the beach or wherever else you may end up this summer. Skip the crappy gas station treats and make a these instead! PS — I haven’t tested these with kids yet, but I’m quite certain they’ll be kid-approved as well. Place bowl of “dough” in the fridge for 30 minutes to an hour so it can set up. I love these no bake recipes for sweet treats when it is so hot outside. Chocolate, peanut butter, and coconut are a great combination. Would these work without the coconut? I’m not sure if the coconut plays a role in holding them together. Thanks Izzy. Let me know if you try them. Congrats to your husband It is truly a blessing to do a job you love. Great recipe. Perfect for these hot days. But on to happier things, like your balls. 😉 They look amazing! Also, congrats to your man! He has Vegas’ dream job. I could have these all day long every day! Me too!! It’s a problem. I can’t even describe how excited I am that I have all the ingredients to make these right now!!!!! Ahhhh!! That’s perfect. I hope you love them, Kellie. 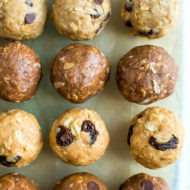 These little energy balls sound wonderful and are like oatmeal in a portable form! Happy 3 year Anniversary to you and Isaac and congrats on his new job – finding work in one’s passion is a true blessing! Wishing y’all much happiness! Wish I had a few of these right now. Yum! Yum! These look great. Thanks for sharing! OMG can’t wait to make these!!! I’ve made these many times since you posted this recipe in 2016. I’ve tried different variations based on what I had on hand (e.g., chia seeds or vanilla hemp protein powder instead of ground flax, etc. ), and they’ve always turned out. 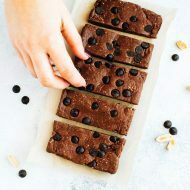 I just wanted to add that these are definitely kid approved – my kids love them! The only drag is that they can’t take them to school because of not being peanut-free. 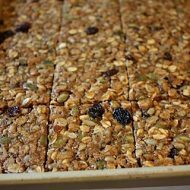 But they make great after-school snacks, and I’d rather they eat these than store-bought cookies or chips. 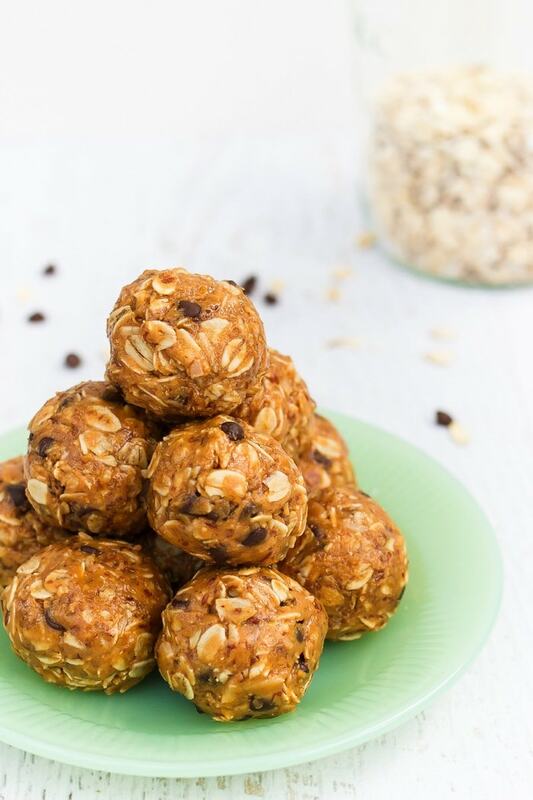 I was looking for a quick, easy and yummy recipe to bring in for a co-worker’s bday and these no-bake PB balls was exactly what I was looking for! Several people have come up to me saying how delicious they are and asked for the recipe! 🙂 Birthdays aside, I will definitely be making these for snacks in the future!